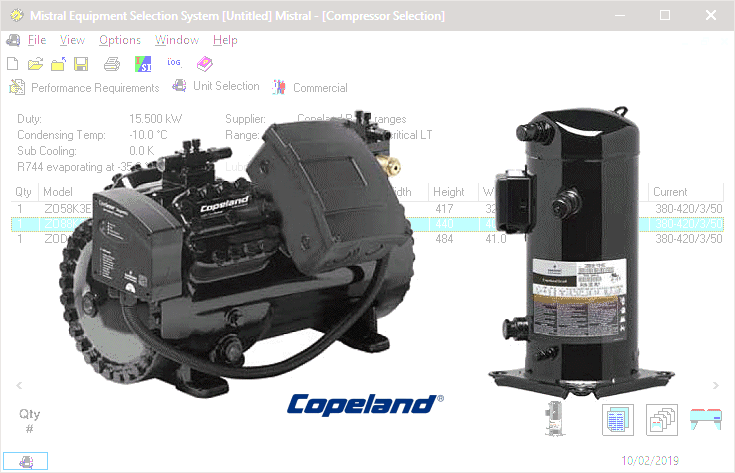 Copeland R744 (CO2) compressor selection data added. Surely 2019 is set to be the year CO2 refrigeration installations really take off! No day passes now without Mistral program users asking when we will be adding equipment selection interactive databases from this manufacturer or that manufacturer. Click above on recent monthly News features to discover what has recently been added already. The latest are Copeland's ZO and ZOD Copeland Scroll compressor range for CO2 subcritical refrigeration and also 4MSL Stream range of compressors for subcritical applications where meeting high standstill pressure (90 bar) is needed. Click image to download update right now. Cost to Mistral of researching, processing, compiling, proving and integrating new interactive Copeland R744 product selection databases: circa 1,200 Euros. A new Corporate Access Registration Code may be required for older installations (8 weeks +) but this will be automatically forwarded when required. LINEWIND Quick Selection Template descriptions improved. Click image to download FREE upgrade. LINEWIND Quick Selection Template descriptions improved. 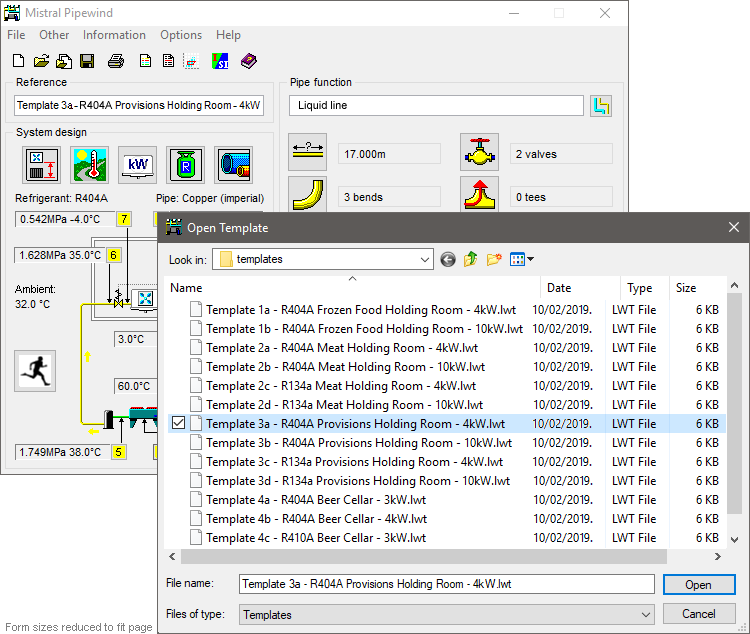 The simple expedient of adding the refrigerant name to the template file name. Thereby reducing risk of error when previously the only indication of which refrigerant was under consideration was shown only at the head of the active calculation. LINEWIND & sister program PIPEWIND. Capable of completing refrigerant pipe circuit sizing in just a few minutes. Even just a few seconds for simple, single cooler load circuits. An irksome task that can sometimes takes days when attempted manually! Mistral 'Corporate Licensees' taking on more staff may now top up contracts on-line. Top-up for up to 3 additional users UK£100 p.a., 115 Euros p.a., US$168 p.a..* Prices indexed to UK Pound. * Daily Exchange Rate fluctuations may mean the price you pay through Mistral's Secure Server is slightly different to the price shown above. Large adverse differences (above single figures) will be refunded upon request. Would you offer to do the same for us if the difference is in your favour?! If in doubt please contact.